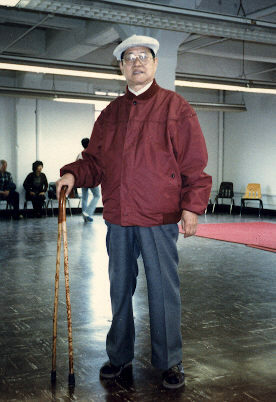 Chi can be used in various ways, and the Doc-Fai Wong Martial Arts Center teaches Chi Kung techniques that can be applied to health and healing as well as the martial arts. For Kung Fu and Tai Chi students Chi Kung training is also necessary for the development of Dim Mak (pressure point attacks) and increases the power of one's strikes. The Sanbao Ruyi or Three Jewels Wish Fulfilling Qigong is one of the Qigong systems the Chinese have been using in the last five thousand years to cultivate the mind, nurture the spirit, and promote strong and healthy body. The Three Jewels Qigong echoes with Buddhism’s Three Jewels: Buddha, Dharma, and Sangha. In Buddhism, liberation is achieved via “refuge” in the Three Jewels practices; abstention, meditation, and wisdom. The devout Qigong practitioner needs to promote and develop the essence (Jing), internal energy (Qi), and spirit (Shen). The correspondence between the Buddhist and Qigong Three Jewels is quite interwoven. The Buddhist “abstains” to refine the “Jing”, when he “meditates”, he cultivates his “Qi”, should he be “enlightened” (acquired wisdom), he must have strong Shen (spirit). A radiating Shen is best achieved with abundant Qi which must be supported by solid Jing. In other words, if a person is insufficient in Jing, Qi, and/ or Shen, his entire wellbeing will be disconnected and broken. The Three Jewels Wish Fulfilling Qigong is an extremely effective method to moderate the Jing, Qi, and Shen. Because this system can drastically increase the energy capacity of the body and improve the immunologic function of the biological cells, one can achieve good health, strength, and a balanced mentality. Robust health and energy is like possessing a magnet that attracts luck, which would fulfill the wishes of the Qigong practitioner. So long as the practitioner can maintain a positive outlook, his dreams may become true. Internationally renowned Qigong Master, Grandmaster Doc-Fai Wong is the current Keeper of the Three Jewels Wish Fulfilling Qigong. 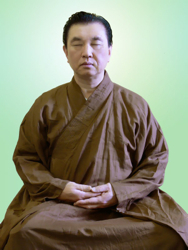 A Chinese American, Doc-Fai Wong began learning and practicing the Buddhist doctrine and the Three Jewels Wish Fulfilling Qigong system at an early age under the watchful eyes of then Honorable Zen Master Xuan Hua in the United States. As he grew up, he broadened his studies with Taoist breathing methods and Qigong health systems from many traditional Chinese medicine practitioners. 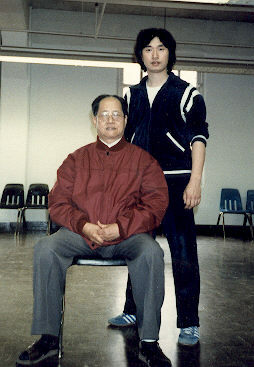 He also studied Martial Qigong from two of Chinas most famous Yi Quan kung fu masters, Professor P.S. 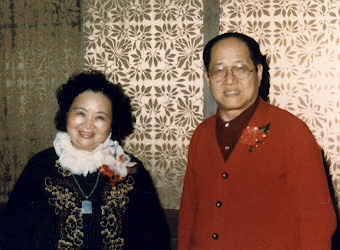 Yu (You Peng Xi) and Mrs. Yu, Ouyang Min. 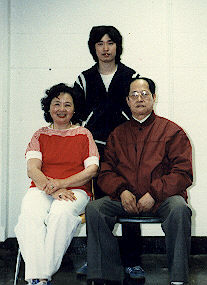 Not only had they accepted Grandmaster Wong as their closed-door disciple, but also as their adopted son. 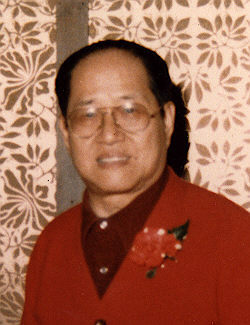 Grandmaster Doc-Fai Wong established the Three Jewels Wish Fulfilling Qigong International Association, and he has since spread his system to over 35 countries, spanning from The United States to Canada, Central America, South America, Europe, Africa, Middle East, East Asia, and South Pacific Islands. Nowadays, Grandmaster Wong’s disciples have surpassed the 500,000 mark; his Qigong association is part of the Plum Blossom International Federation, one of the largest Qigong associations in the World. With diligent practice, healthy practitioners can sustain youthful vitality and prolong their lifespan, while martial artists can improve their physical strength and internal powers. The Three Jewels Wish Fulfilling Qigong is safe to practice and easy to master. With dedicated practice, one may witness positive results between six weeks to three months. Furthermore, there is no chance of undesired side effects making the Three Jewels Wish Fulfilling Qigong an excellent system for everyone of all ages and capabilities to learn. A student of ours has asthma and use to have to take 2-3 breaks during our class to catch his breath. On Wednesdays, our sparring days, he would sometimes have to use his inhaler. I showed him the Ruyi Chi Kung exercise and now he is able to go through a whole class without stopping due to shortness of breath. He has been practicing this exercise daily for the past 3-4 weeks now. He does it before he goes to work and before class on the days he comes to class. I just wanted to share this with you as it appeared to help a lot with his asthma. He sends his thanks too.